Jake Gyllenhaal’s glimmering eyes may be the most disturbing image of the year in Dan Gilroy’s excellently shady LA thriller, but behind them and the film is a perfect satirical look at the vulture-like nature of news broadcasting and our own obsession to video images of violence. Gyllenhaal plays Lou Bloom, a down-and-outer à la Paul Schrader, who stumbles onto a career to match his sociopathic nature, recording murders, car accidents and crimes of the night for a local news broadcast. Funny, bleak and sharply acted, Nightcrawler is a hard stare at what it is to be an entrepreneur in a world where “self-made” professionals are surfacing day by day. The only relatable character is a brilliant turn by Riz Ahmed, Lou’s intern and moral compass, who struggles with his part in the business. Of course as things progress, Lou’s passenger becomes more than a passive companion. There is excellent support from Rene Russo as the feisty network producer but the picture belongs to Gyllenhaal who puts on a nervy, unsettling and career-best performance. 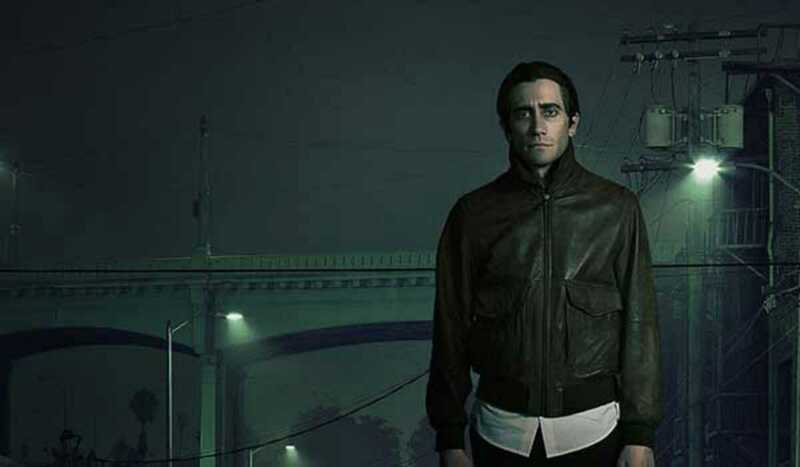 Gilroy, clearly against the violence he’s portraying, leaves just the right amount out of Nightcrawler to make it a wonderful first time watch, thrilling and powerful till the last frame.